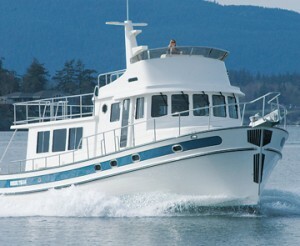 Nordic Tugs manufactures hand crafted tug style yachts from 26 to 54 feet in its modern Burlington, Washington plant. The pioneer of the pleasure tug industry, Nordic Tugs has offered distinctive, high quality yachts built for cruising for the past 39 years. 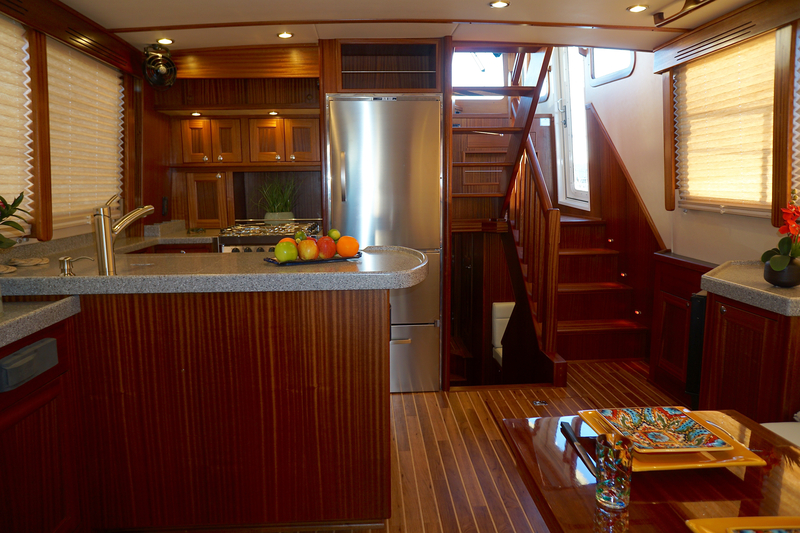 Nordic Tugs is known for its meticulous woodwork and custom upgrades. Speed, fuel efficiency, stability and quality are just a few of the many elements of Nordic Tug. Nordic Tugs Inc. was formed in 1979 by its founder Jerry Husted, in Woodinville, WA. The first boat model was the 26 footer, which was an immediate success. 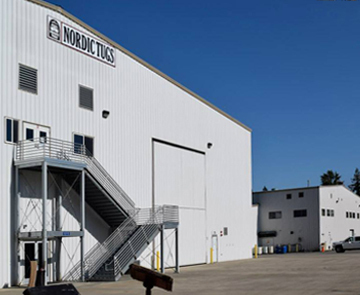 As sales volumes grew, the need for a larger facility became apparent, so in 1990 Nordic Tugs relocated its manufacturing operations to the Burlington Business Park. The success of the company led to the expansion into larger models, a 32 (34), 37 (39), 42 (44), 49, and 52 (54). After moving to Burlington, Nordic Tugs eventually outgrew its building location, and moved within the business park to a larger lot, and has expanded into three buildings. Nordic Tugs has now built almost 800 yachts, and has established itself overseas as well as in North America. 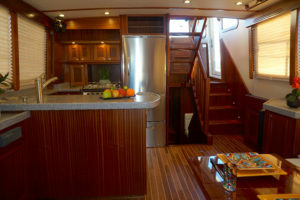 Nordic Tugs enjoys excellent name recognition within the boating industry due to its reputation as a top quality builder. Nordic Tugs Inc. also enjoys an excellent reputation within the local community as an excellent employer. Nordic Tugs – Model Introduction Time Line: NT 26’ was introduced at the Seattle Boat Show in 1980. In 1985 the NT 32’ (which later became the NT 34’) was added to the Nordic Tug fleet. The NT 37’ (which later became the NT 39’) along with the NT 42’ (which became the NT 44’) were introduced in the mid to late 90’s. The NT 52’(which later became the NT 54’) was introduced in 2003. The NT 49’ was introduced in 2009. In 2015 Nordic Tug discontinued the NT 39’ and was replaced with a brand new model, the NT 40’.